ARKids Orthodontic benefits cannot be used for cosmetic reasons. ARKids Orthodontic benefits are only available for children with the most severe dental problems. 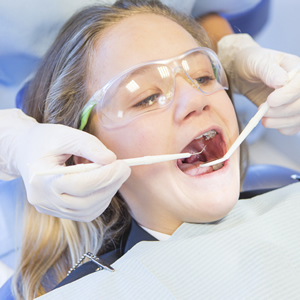 Your Medicaid-enrolled dentist or orthodontist can perform an evaluation to determine if your child might qualify for orthodontic benefits and submit the necessary paperwork. Before your child can receive Orthodontic services, Arkansas Medicaid will have to review and approve their treatment plan. A co-pay (cost share) of $10 will be due at the time of the Orthodontic evaluation and at every future Orthodontic visit until treatment is completed. Mon. – Fri., 8:30 a.m. – 4:30 p.m.
After the Medicaid orthodontist has evaluated your child, he or she will send the necessary evaluation materials (x-rays, teeth molds, etc.) to the Medicaid Dental Unit. The Medicaid Dental Board meets quarterly to review Orthodontic evaluation materials and approves or denies requested Orthodontic services. If the services are denied, the orthodontist can re-submit the evaluation materials again and any additional justification information or materials at the next quarterly Dental Board meeting. If services are again denied, you may appeal the denial. If Medicaid refuses to pay for Orthodontic services for your child, you will get a letter telling you so. If you disagree and want to appeal, you must send a letter to DHS (the Department of Human Services) asking for an appeal. Instructions on how you can submit an appeal are in the letter. Look at the date that is on the letter you received from Medicaid or ARKids First. Make sure DHS gets your appeal letter within 30 calendar days of the date. Send your appeal letter to the Department of Human Services: Appeals and Hearing Section, P. O. Box 1437, Slot N401, Little Rock AR 72203-1437. If DHS does not get your appeal letter on time, your appeal will be denied.